The ongoing crisis in Darfur, Sudan has stimulated a huge amount of political and academic interest across the world. The crisis has been both reflective and constitutive of key areas of contestation and change within contemporary international society. 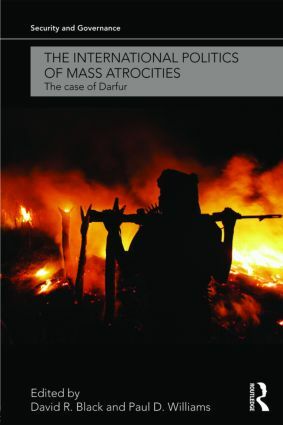 This book examines the crisis in Darfur as a case study of some of the wider debates currently taking place within International Relations theory. Using the conceptual framework developed by English School theorists, specifically their concept of international society and the related idea of "good international citizenship", this book examines a wide range of issues: foreign policy analysis, theories of norm diffusion, international organizations, peace operations, international criminal justice and war law, the causes and nature of contemporary warfare, and the international relations of Africa. Making an important contribution to the debate about the meaning and limits of international society, this book will be of interest to students and scholars international relations theory, international security, foreign policy, international organizations, human rights, African politics, genocide studies and international law.